To streamline patient care, the STHS ER Monte Cristo was built with a separate entrance for ambulances. With the recent grand opening of STHS ER Monte Cristo, people who live in more rural parts of the county now have access to emergency care. The ER at the South Texas Health System provides 24-hour emergency care every day of the year. The ER is staffed with the same medical personnel and equipped with the same diagnostic technology available in South Texas Health System's hospital-based emergency rooms. 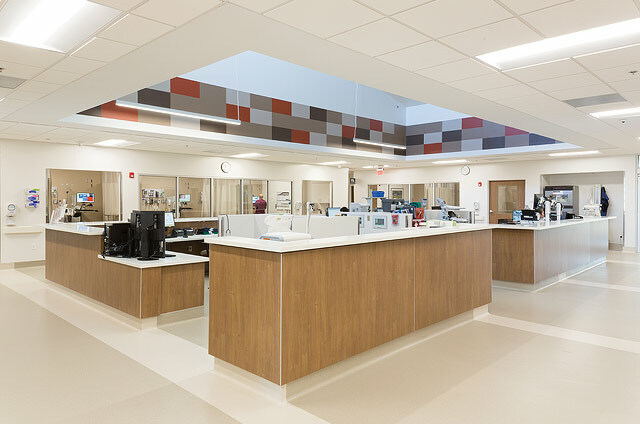 Another plus is that the laboratory and radiology services are available to the public on a walk-in basis. “For example, if someone’s doctor orders an X-ray, CT scan or blood test, the person can come here with their doctor’s note and we can do it for them. The results will be available in the system so the doctor can access it from any of the hospitals,” says Brown. Monte Cristo's updated floor plan will be the model for all future freestanding ERs. Not long after the Monte Cristo location opened, a groundbreaking ceremony was held for the new STHS ER Ware Rd., located at 3700 W. Nolana, in McAllen. Construction began in February, and it is expected to be open in the fall. It will be the eighth ER for South Texas Health System. This ER will serve the community living closer to the west side of McAllen. Plans are currently in the works for other locations, including Alamo.